Outlook MSG to Office 365 Converter software help users to effortlessly recover MSG file and Export MSG to Office 365 file with emails and attachments. 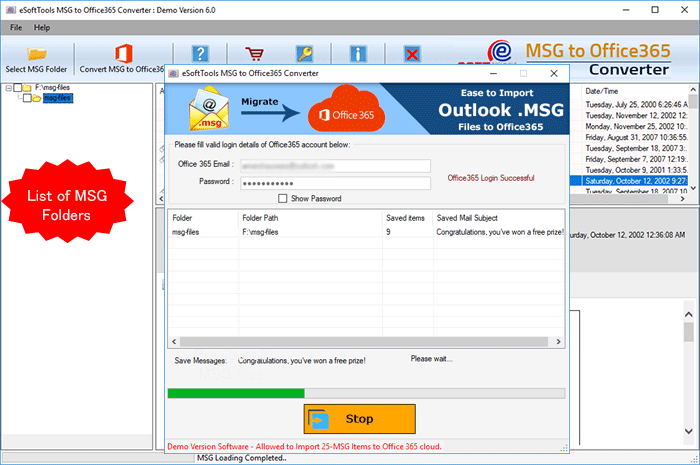 Export MSG to Office 365 software performs batch conversion of MSG files into Office 365. 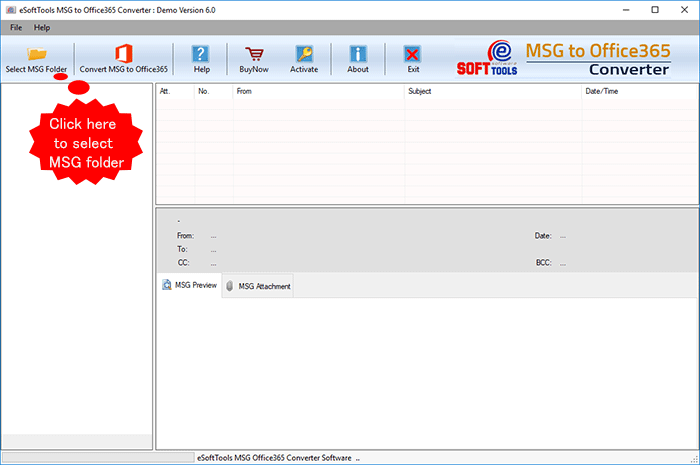 Previews of MSG files enabled within software to verify the msg file recovery. 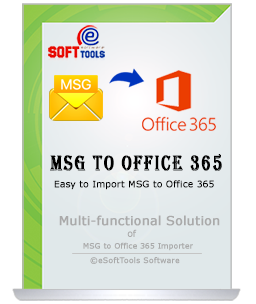 Very helpful program can be used for MSG to Office 365 Conversion; use this MSG to Office 365 Converter Software that consents users convert all items of MSG file into Office 365 with maintains folders, sub-folders structure and emails formatting/ properties. Without Microsoft Outlook installation, the software works perfectly and provide 100% guarantee to export MSG to Office 365 account. MSG to Office 365 Converter Software quickly works to convert the emails and attachments of MSG file to Office 365 that you can directly open in cloud account. Software never harm internal folders structure and maintains folder hierarchy while convert MSG to Office 365. Software gives option to marked check or un-check the MSG folders from left tree hierarchy for selective conversion. User can checked multiple folders at the same time and convert into Office 365 with emails and attachments. To use MSG to Office 365 Software, users don’t require to install MS Outlook application on computer because now updated version of software works without MS Outlook and directly convert MSG to Office 365. Software always ensure to preserve the integrity of every MSG item and keep maintains the MSG file type properties like To, Subject, Cc, Bcc, Date & Time. MSG to Office 365 conversion tool also preserve the embedded images and email attachments. Outlook MSG to Office 365 Software preserve all emails properties- To, Bcc, Cc, Time, Subject and Date, Email Formatting, folders and sub-folders hierarchy while conversion MSG files to office 365 and gives you satisfied result with pure conversion. Simple working concept based MSG to Office365 migration always helps and save time. Get complete working scenario of how to import MSG to Office365 and perform the conversion of yourself. 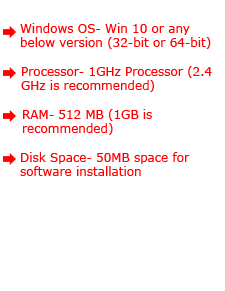 Choose Individually MSG file from hard drive. Can I import multiple MSG files in a single attempt? Yes, the MSG to office 365 Software allows users to convert multiple MSG files into Office 365 with complete data. Can I convert selective folders of MSG files into office 365 using software? Will software convert attachments items of MSG file to Office 365? Will MSG to Office 365 Conversion Software make any changes in folders hierarchy while conversion? No, the Export MSG to office 365 Software never make any changes while conversion, it preserves all folders, sub-folders hierarchy and emails formatting. 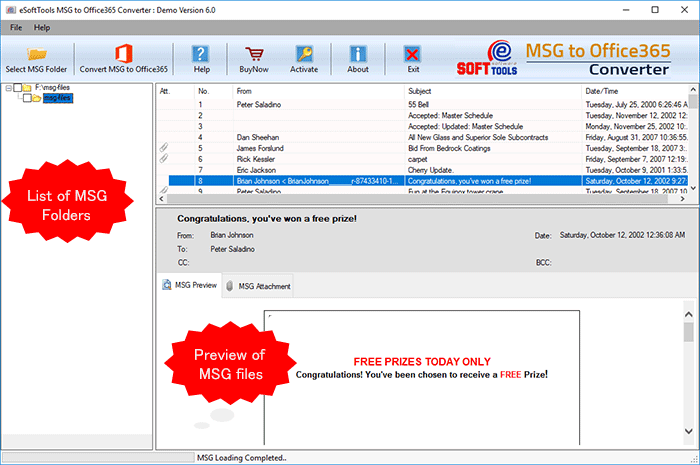 Thanks, you so much eSoftTools team who made unique MSG to Office 365 Converter software that allowed me to convert complete folders of MSG files to office 365 with emails or attachments…………...thanks a lot. I want to suggest your MSG to office 365 Software to all users who want to convert all MSG files to office 365 with emails or attachments…..it was good in conversion and provided 100% satisfied result……thanks a lot………..